If you are running Truffle on Windows, you first need to install the window build tool. Run this in your command prompt. Then install the Truffle Framework. The truffle-hdwallet-provider-privkey library lets you sign and execute transactions by providing a private key that belongs to an existing Ethereum wallet. This is helpful because I could have an existing Wallet address that was generated earlier in MetaMask and now wish to use it to test my Smart Contract in Truffle. Create a folder in a location of your choice. And then enter the folder. Truffle Framework provides several boilerplates for building Ethereum-based DApps. Here are several boilerplates. Webpack is the most basic boilerplate to start with. We will setup webpack in our /trufflekaleido folder. I use Ian Coleman's website to generate my wallet address and private key. 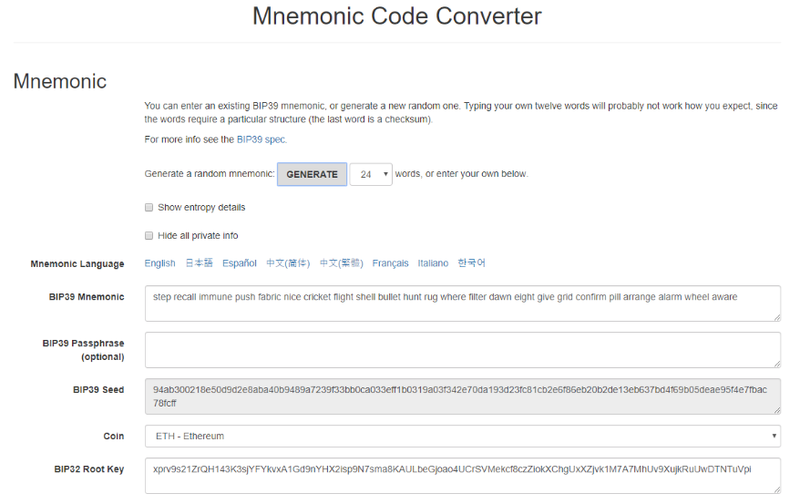 Ian's mnemonic code key generator allows you to base on a 3 to 24 words mnemonic to generate your wallet's address and private keys. To do so, select the total number of words to use as mnemonic. Then select Ethereum, and click [Generate]. Now scroll down to the Derived Address section and copy any one of the Address/Private Key pair. 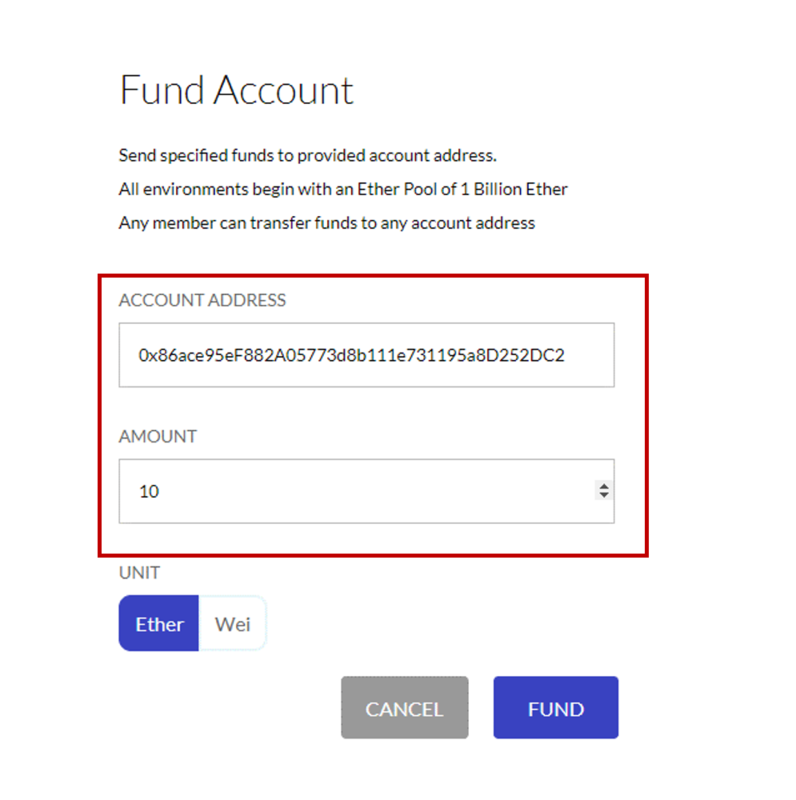 The "Address" field is what you can feel free to send to anyone you wish to receive ETH from. The private key is what you will use to sign transactions. 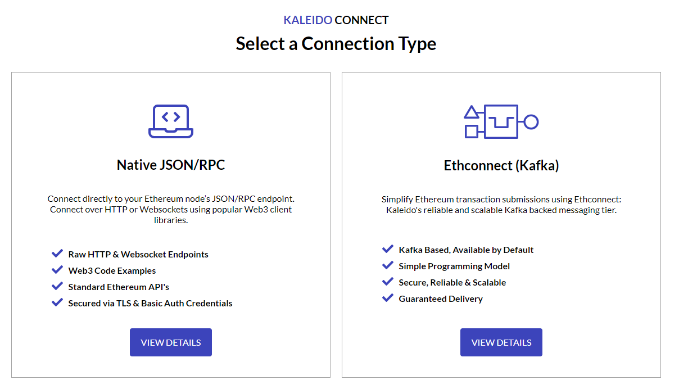 Go to your Kaleido console and click "Ether Pool". Then paste the public key here to receive some ETH. 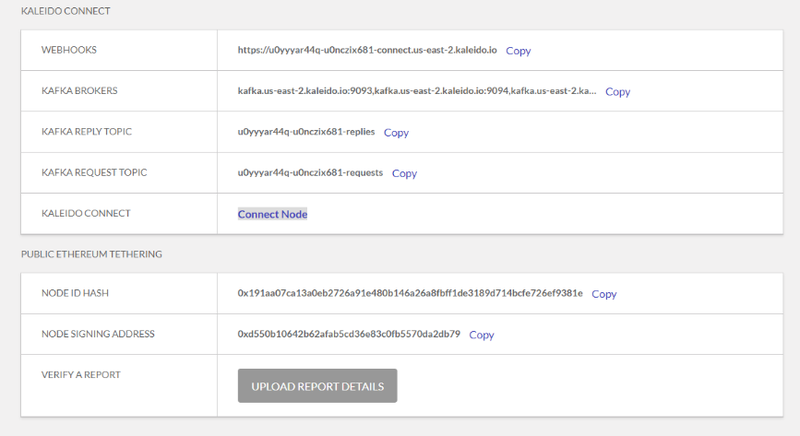 If you are wondering how is it possible to generate a wallet address without first connecting to the Blockchain to check if there's a existing duplicate wallet address on the Blockchain, here's an article to read. (TLDR) The probability that a randomly generated private key and wallet address has been used is essentially 0. We will now write a simple greeting contract. Navigate to /trufflekaleido/contracts folder. Webpack would have added several contracts here by default. Create a new file. You can call it hello.sol. Add the follow codes to hello.sol. This greeter smart contract code comes from https://www.ethereum.org/greeter and does nothing but lets you set and read a "greeting" variable in the contract. Here, we declare mortal and greeter. This corresponds to the contracts of the same name in hello.sol. The contract that we will run is greeter and we instantiate the contract by providing the string 'Jack' to the greeting variable in the greeter contract. Navigate back to /trufflekaleido and edit truffle-config.js. Here's a sample of how it may look. We then tell Truffle that truffle-hdwallet-provider-privkey is our Wallet Provider. And here, we provide our wallet's private key. 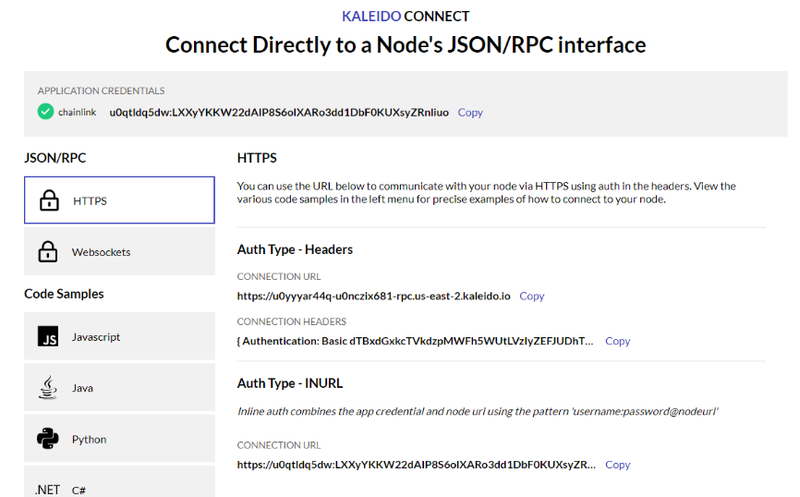 To find out what's your Kaleido node's address, select the node in the Kaleido interface and click on [Connect Node]. Select [VIEW DETAILS] under Native JSON/RPC. Provide your SECRET KEY. Hit [Submit]. Copy the CONNECTION URL under the "Auth Type -INURL" section. Paste it in the section that says "<replace with your kaleido node address>". We are ready to compile and run. And migrate. 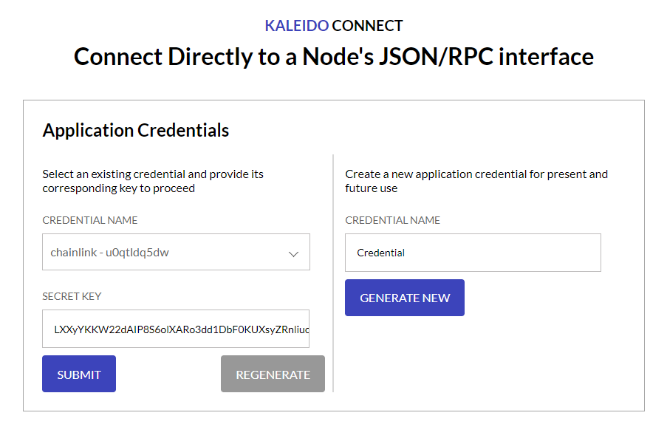 Migration will create your Smart Contract in the Kaleido private Ethereum Blockchain network. 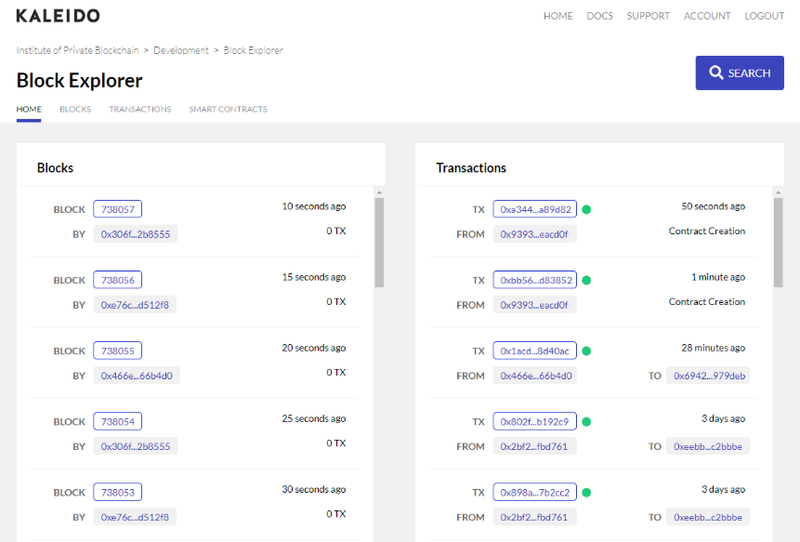 Take a look at the Block Explorer in Kaleido and you should see that new transactions have just been executed. You may now test the contract in the Truffle Console. Start the console using the "development" settings that we have provided. 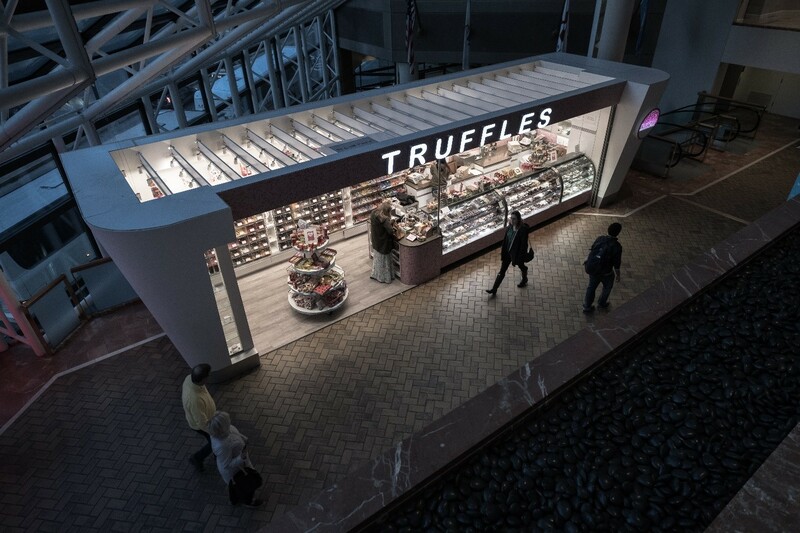 The truffle console starts up. And run the following command to execute the greet() method to find out the value of greeting in your Smart Contract.